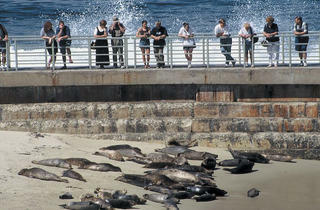 Seasonal doldrums are no match for near-perfect San Diego. A Chicago friend of mine who moved to San Diego when her youngest daughter was 18 months old tells a story about a rainy day there when the child was about three. “Mommy, what’s this wet stuff falling from the sky?” she asked. It had been so long since the last storm that her daughter had no recollection of rain. It does rain once in a while in San Diego, but it definitely doesn’t snow; average daily temps year-round are 70 degrees. The city is tucked between the Pacific Ocean and two mountain ranges, and close enough to Mexico that our friends sometimes drive there for dinner. In short? Kinda close to perfect. 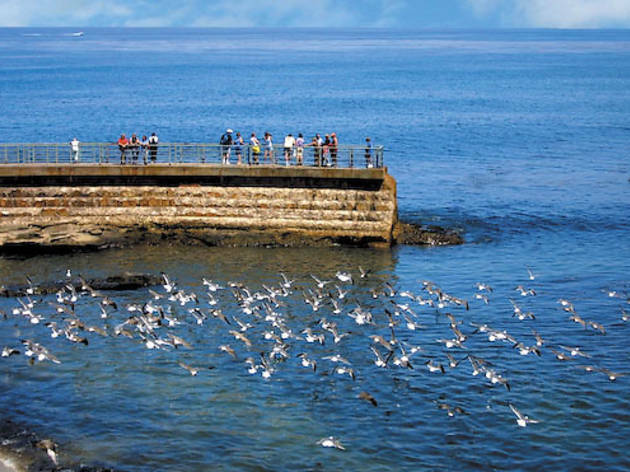 If we can’t live in San Diego, we think it’s an awesome place to visit right about now, when the best Chicagoans can hope for is a fluke warm day before it snows again. 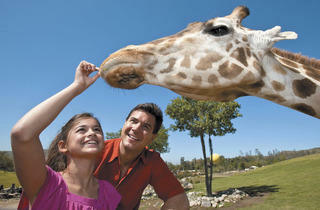 Most people know SeaWorld and the famous San Diego Zoo, but (save those crazy-cute zoo pandas) there’s not much different here than at other big-city animal parks and aquariums. 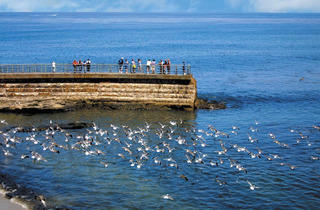 Seaport Village, a popular waterfront complex, doesn’t feel too far off from a summer day on Navy Pier. Where the San Diego area’s charms lie—beyond its near-perfect climate and locale—are in the fun you can’t find elsewhere. 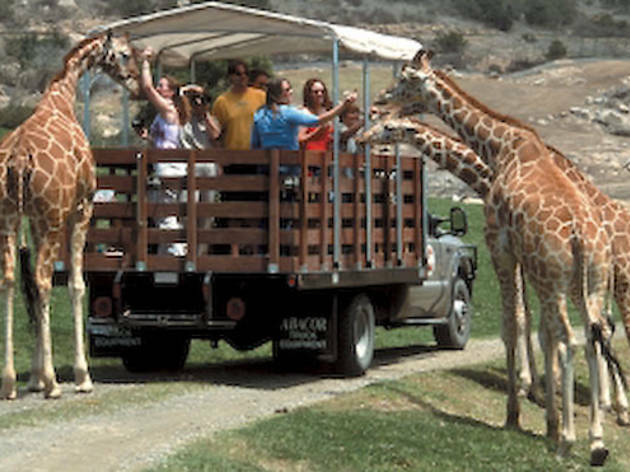 San Diego Zoo Safari Park (15500 San Pasqual Valley Rd, Escondido, 800-407-9534), 35 miles from the main zoo, has 1,800 acres of free-range enclosures that offer the closest experience to an African safari you’ll get on this continent. 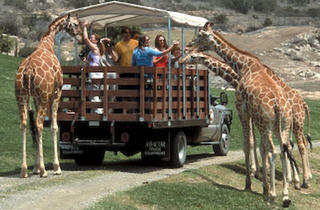 Excursions through the park let visitors see condors, rhinos, giraffes and more than 400 other species. 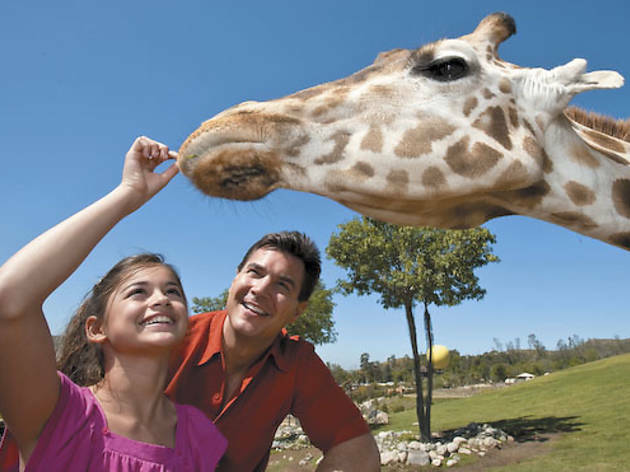 Upgrade experiences include photo caravans, zip line rides over the park and “Roar and Snore” sleepovers, which get you up-close (like, eye-to-eye) access with animal “ambassadors” (most cost $30–$220). 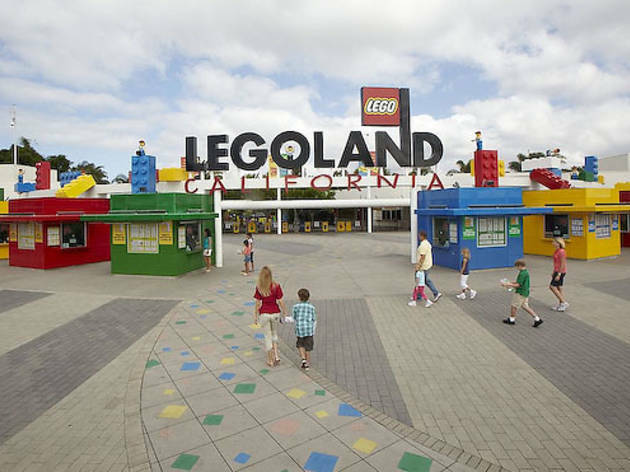 With 128 acres, LEGOLAND California (760-918-5346), in nearby Carlsbad, is a seriously souped-up version of the mall experience we get in Schaumburg. 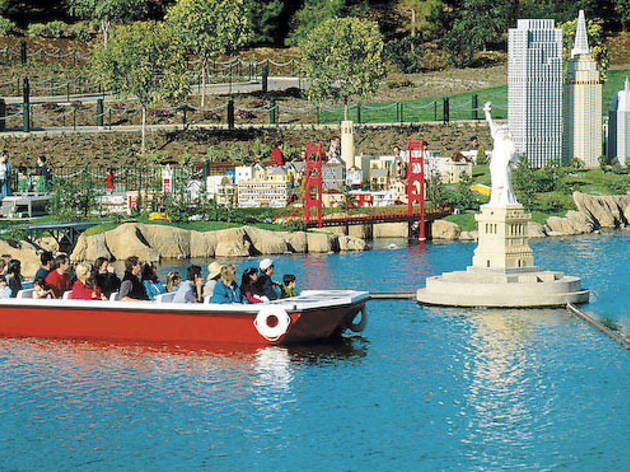 There’s a theme park with more than 50 rides (all seemingly constructed from massive LEGOs, of course), a water park and Sea Life aquarium. Our favorite part? 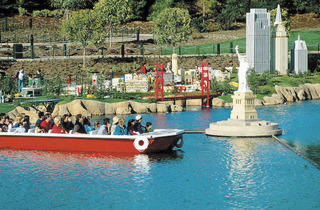 Miniland USA, where more than 20 million LEGOS are used to make small-scale replicas of American cities and monuments. Mission Beach is the California version of places like Atlantic City and Coney Island. 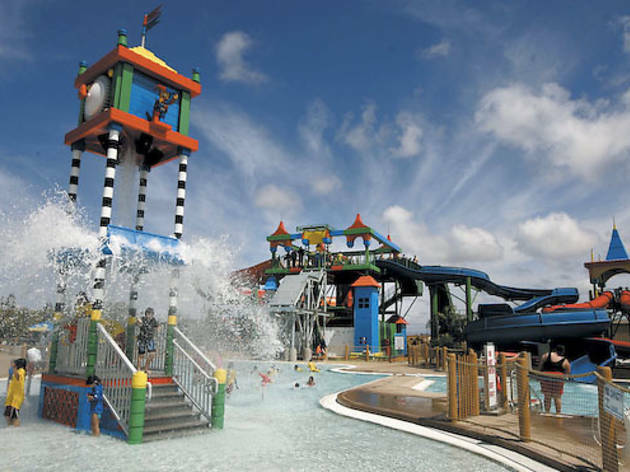 But here, you can cruise the boardwalk on rented skateboards or roller blades from Cheap Rentals (3689 Mission Blvd, 858-488-9070) or treat the kids to surfing or sailing lessons at the Mission Bay Aquatic Center (1001 Santa Clara Pl, 858-488-1000). 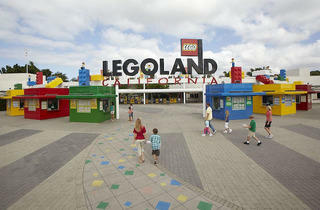 Belmont Park (3146 Mission Blvd, 858-488-1549) and its Big Dipper Roller Coaster have been here since 1925. 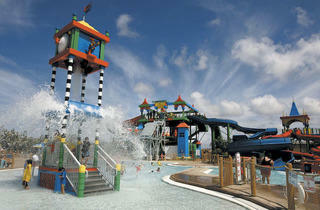 The amusement park also has a wave machine and plunge pool if ocean conditions aren’t up to par. Tacos are to San Diego what hot dogs are to Chicago. For a Hot Doug’s-style experience there, go to Lucha Libre Gourmet Taco Shop (1810 W Washington St, 619-296-8226) in Mission Hills. The winding lines to get in will look familiar, but here fancy encased meats are swapped for fresh seafood tacos and burritos served with housemade salsas. Insider tip: Reserve the gold lamé “champions booth” at least 24 hours in advance to skip the lines and get served by staff clad in Mexican wrestling costumes. 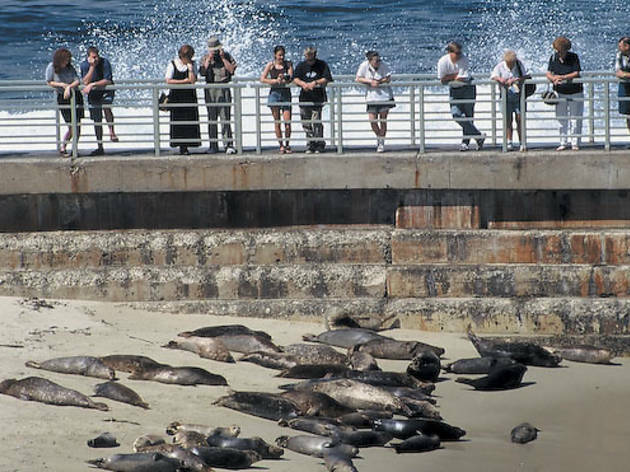 My family’s favorite way to end our days in San Diego is with trips to Children’s Pool Beach in La Jolla (850 Coast Blvd) where crowds flock to see an estimated 200 seals that sunbathe and swim here all year long. The sea breeze and close-up views of these creatures are the best way to remind ourselves that we are blissfully far from home.